Want to send something healthy, but not sure what? This rainbow of color and flavor is sure to be a success. Available in two sizes, to fit everyone's appetite. Sweet delicious Comice Pears. These are by far the sweetest, juiciest pears you've ever tasted. Hand picked, these large, luscious Sweet Pears are rushed all the way from our Southern Oregon orchard-fresh to your door. The only other thing you'll need is a napkin! They'll be seeing red when they open this gift, but oh so sweet Red! Just what you need to make a great fruit salad. Four Sweet Oranges, two Comice Pears and two Red Delicious apples and a jar of marmalade for that little slice of toast. Sprinkled with delectable strawberry filled candies. The creamy texture and mild nutty flavor of this delectable Danish Cheese melts perfectly with our sweet and oh-so juicy Comice Pears. You'll swear they were meant for each other. Arrives ready to slice, eat and enjoy. Texas is known for being big, and these live up to the claim. Five large juicy Texas Ruby Red Grapefruit, "paired" with four of the biggest sweetest Comice Pears you've ever seen. Combine four large sweet, juicy Comice pears and two crisp Fuji apples, handpack them with 6 oz. of plump savory cashews and almonds and 8 oz of premium aged cheddar cheese and you have a gift you can't resist to share. If you are simply looking for a unique combination of our freshest fruit or if maybe there is someone on your list who cannot have Grapefruit, then we can offer these samplers just for you! Choose from a gift box of our crisp Red Delicious Apples with super sweet Texas Oranges or Apples paired with our juicy Comice Pears. A lighter version of our rainbow of delicious winter fruit. 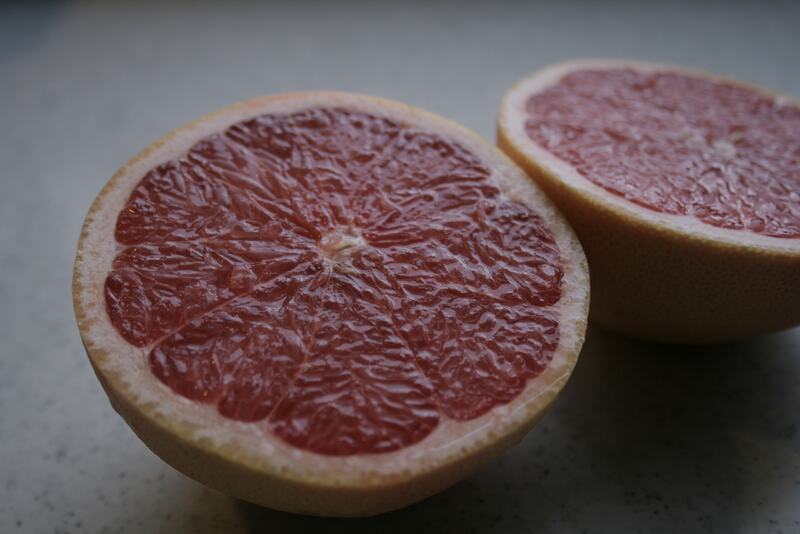 Rich Ruby Red Grapefruit, Sweet Navel Oranges, Crisp Red Delicious Apples, and Juicy Comice Pears. There's something for everyone. The perfect way to lift fruit sections without tearing the fruit or squirting the juice. FREE SHIPPING! !